They say two is better than one. Send these and you'll see just how much better it can be. 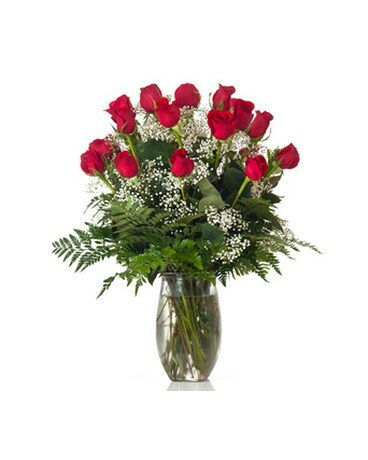 Two dozen long-stem red roses arranged in a vase with babies breath and greens is sure to impress.